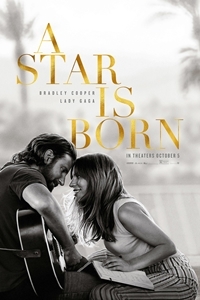 In this new take on the tragic love story, he plays seasoned musician Jackson Maine, who discovers - and falls in love with - struggling artist Ally (Gaga).�She has just about given up on her dream to make it big as a singer, until Jack coaxes her into the spotlight.� But even as Ally's career takes off, the personal side of their relationship is breaking down, as Jack fights an ongoing battle with his own internal demons. Run Time: 2 hr. 15 mins.